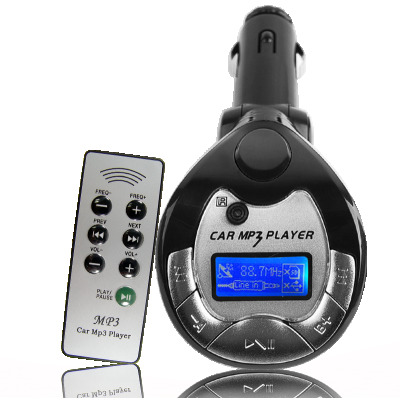 Successfully Added Car MP3/WMA FM Modulator - Flexible Angle Control to your Shopping Cart. Easy and versatile MP3/WMA FM modulator with a flexible 6 position joint, and an SD card slot and MMC slot. Listening to your favorite digital music is a snap as all you need is a USB stick, a SD/MMC Card, or a MP3/4 player with your digital music, and tune your radio and FM Modulator to the same signal and then listen away. This model comes complete with a remote control for easy use, and is compatible with MP3, WMA and WAV music formats. A great item to import at wholesale prices with no MOQ and direct shipping available from Chinavasion.